During WWI, food on the front line was scarce. The bulk of a soldier’s diet in the trenches was bully beef (canned corned beef), bread and biscuits. Flour was in such short supply that bread was made with dried ground turnips. In many of the trenches the soldiers ate a kind of pea-soup with a few lumps of horsemeat. Throughout the war the cooks became dependent on local vegetables and often used weeds such as nettles in soups and stews. More often than not, by the time rations reached the front line the bread and biscuits had turned stale and fresh produce had gone off. But food on the front line was scarce, so they needed to use all their rations – regardless of how they tasted. They often crumbled the hard food that arrived with potatoes, sultanas, and onions to soften the mixture. This blend of ingredients would be boiled in a sandbag and eaten as a sandy, stale soup. Unfortunately, all British Soldiers during WW1 were suffering from severe malnutrition and had to eat and drink some terrible creations to stay alive. 1. Cut beef into ½ inch to 1 inch pieces. 2. Thinly slice the potatoes, onions, and carrots. 3. Steam or boil the beef, potatoes, carrots, and onions until tender. 4. Heat the fat in a pan. 5. Add cooked potatoes, carrots, onions, beans, and beef and simmer over a medium heat. 6. Make a batter from the beef stock or water with some flour. 7. Add the batter to the stew. 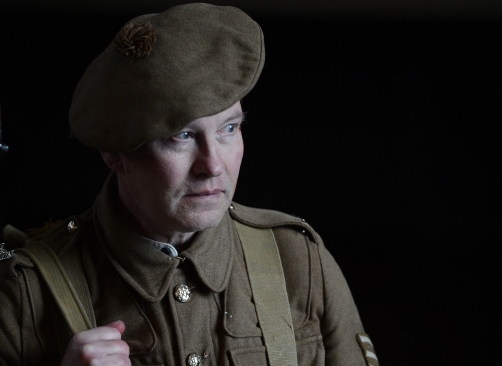 When visiting the castle, find out more about the soldiers and their experiences of World War One in the National War Museum.